As competition among healthcare providers increases, and insurers work to decrease costs, new emphasis is being placed on patient satisfaction. Part of the Bundled Payment program of Medicare includes a patient satisfaction survey. The Hospital Value-Based Purchasing Program also involves patient surveys that measure the overall satisfaction of the patient for in-patient medical treatment. 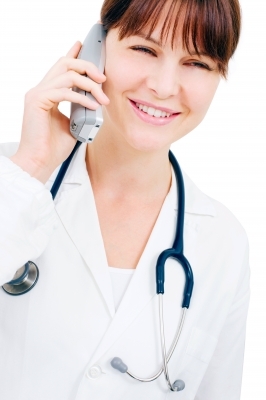 The surveys measure patient experience from the first call that is made requesting services to the last physician visit after the problem has been resolved. The surveys have identified three major areas for healthcare providers to focus on in order to improve the overall patient experience. Understanding what to expect. Patients want to know what is going to happen to them. They do not want to know only the name of a test; they want it to be explained to them in terms they can understand. For example, if an MRI is ordered, a staff member needs to explain the process to the patient, including how long the test will take and what happens during the test. If waiting time is excessive, staff should explain to the patient why. Patients also want explanations about their medication. What is it for? How is it supposed to work? How long will it take to work? What are the side effects? What is the duration for the medication? Patients do not like interacting with a large number of personnel. The fewer healthcare personnel they are required to talk to, the greater the satisfaction rate. Reduction in required paperwork that needs to be filled out increases satisfaction. Hospital in-patients want caregivers to explain to them what to expect and how to care for themselves when they go home. Communication can be enhanced with the use of texting, email and use of the internet to educate patients, confirm appointments and respond to patient questions. Patients search the internet themselves for solutions and expect their physicians to be up to date on treatment options. Patients expect more out-patient procedures to be performed. Consistent processes for making an appointment, checking in, making payments, should be standardized so the patient knows what to expect. Most patients are aware of Electronic Health Records (EHR) and expect their physicians to be using them. Healthcare providers must follow up with their patients to assure that the expectations were met and if not, find out why not. The very fact that patients are asked to evaluate whether or not their expectations were met and the communication was what they hoped for indicates an interest in their opinion and well-being which will increase their satisfaction. Issues concerning the quality of the care. Issues concerning access to care. At least one open-ended question, such as, “How can we improve our services,” should be included.